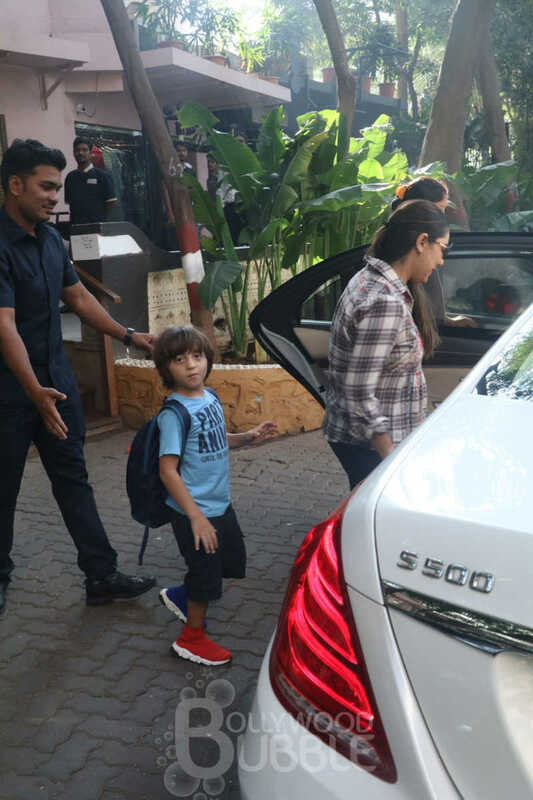 Shah Rukh Khan's adorable son AbRam Khan stepped out with his stunning mother Gauri Khan. 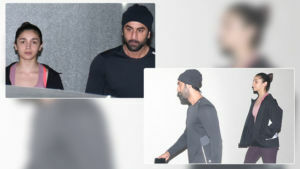 The youngster looked cute as a button in dark blue shorts and a light blue t-shirt with a rocking message: 'Party Animal' on it. The mother and son stepped out of a designer gallery and were caught on camera by the paparazzi there. 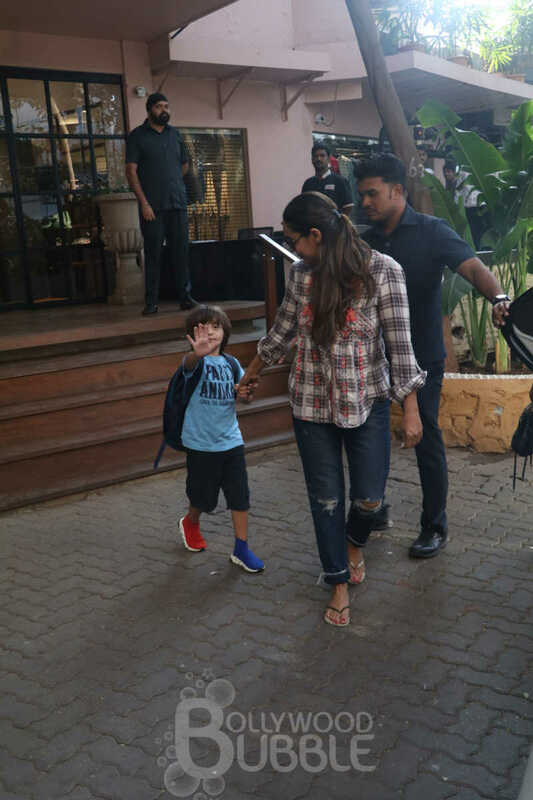 Gauri was all smiles and her little one wore an uninterested air. 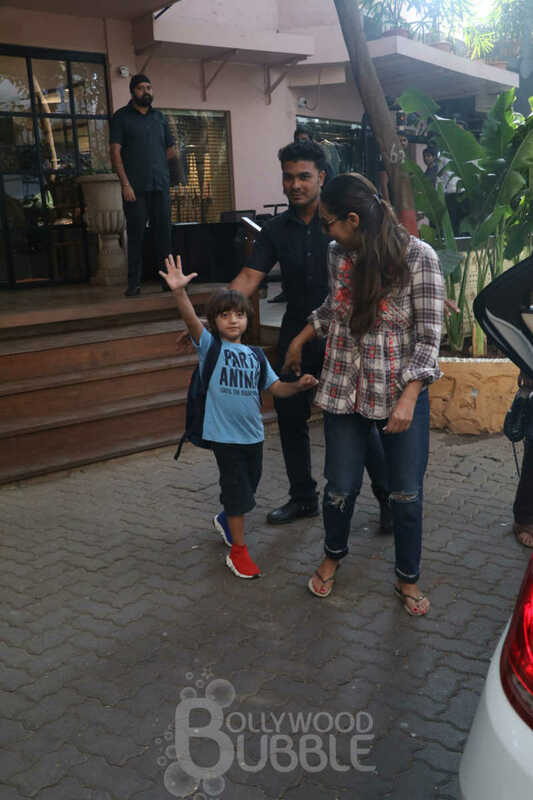 Gauri Khan, as usual, looked stunning in distressed jeans and a plaid, full sleeve shirt with her hair tied in a pony tail. 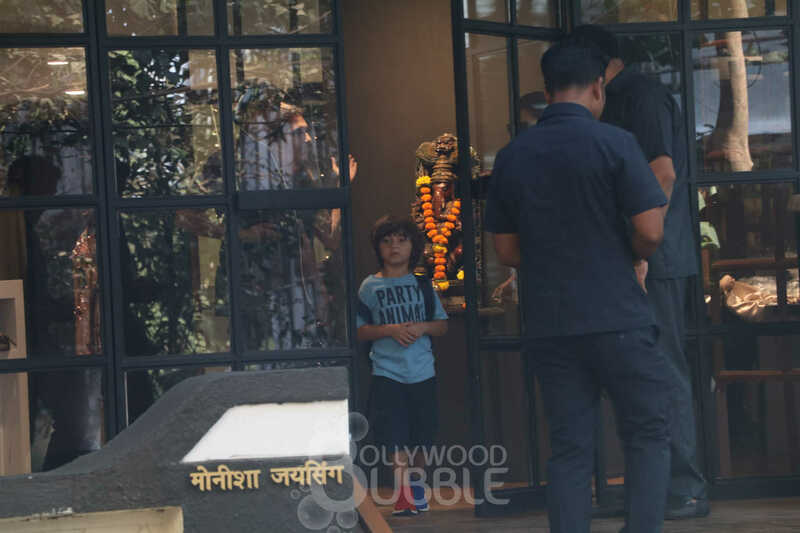 However, it was AbRam’s shoes that caught the paparazzi’s attention. He had donned one red and blue pair. Must be the new fashion. His one shoe was red , while the other was blue. 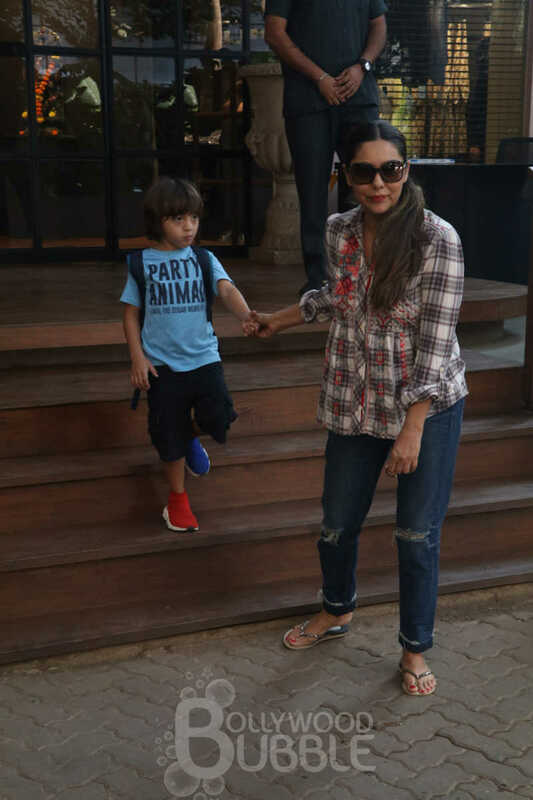 Gauri, on the other hand, pulled off the casual look in distressed jeans and a plaid, full sleeve shirt. She paired her outfit with oversized sunglasses. 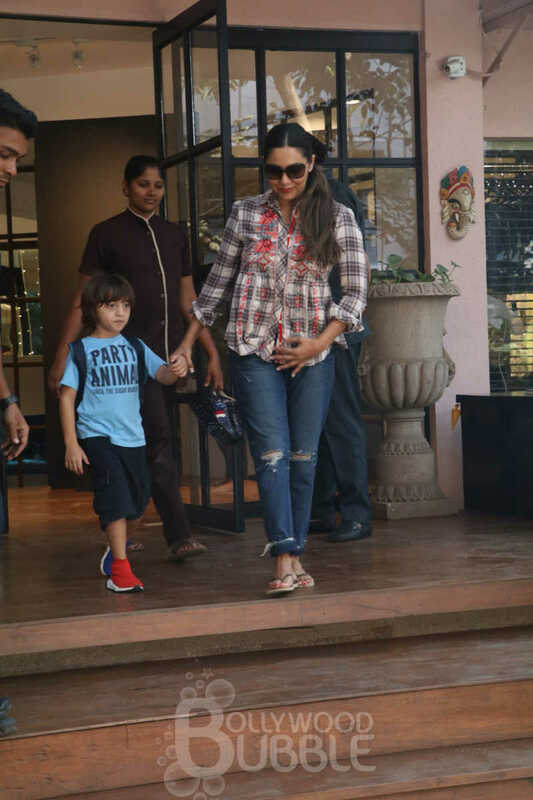 Gauri and AbRam were escorted to their fancy wheels and soon zoomed off for their palatial home Mannat in Bandra.